Mari Stewart is PBi’s very own Placenta Encapsulation Specialist® in Honolulu, Hawaii. Mari has the love of birth in her blood, as her maternal grandfather had a private obstetrical practice in Hawaii delivering over 15,000 babies before he passed. She has always known that she would follow her grandfather’s footsteps in some way. Since 1975, she has been attending hundreds of births as a Certified Doula and working in different capacities with the childbearing year. She is also a Ceritified Childbirth Educator and is currently a Student Midwife. We are so glad you are a part of PBi Mari Stewart, we warmly welcome you. 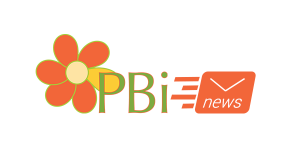 PBi is grateful to have you spreading the “Placenta Benefits” word in Hawaii!